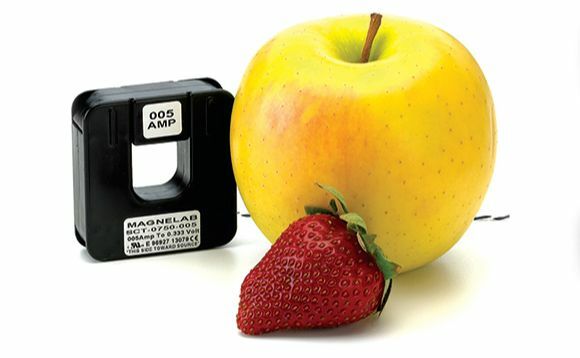 The SCT-0750 split core current transformer is made by current sensor manufacturer Magnelab. In fact, it transforms the AC input current of up to 200 Amps into an output voltage of 0.333 volt. These transformers are particularly suitable when installed on wiring that is already in place, as it can easily snap around the existing conductor. In addition, the SCT-0750 comes with a self-locking mechanism. These AC current sensors have a 0.75 inch opening. General usage includes recording, data logging, energy management, power monitoring and cost allocation. The SCT-0750 features a rated input of up to 200 Amps. Its output at rated current is 0.333 volt. Linear accuracy on this current sensor is impressive at 1% either way, making its actual performance very close to estimated values. The phase angle is less than 2 degrees, applicable for 70 Amps input or higher. The operating frequency range is 30 Hz to 1,000 Hz. If you need to measure or sense a larger current consider the SCT-2000 split core current transformer, which can accommodate up to 1500 amperes. Both current sensors comes with a twisted pair 22 AWG lead measuring 8 feet in length. Its maximum voltage on a bare conductor is 600 volts. 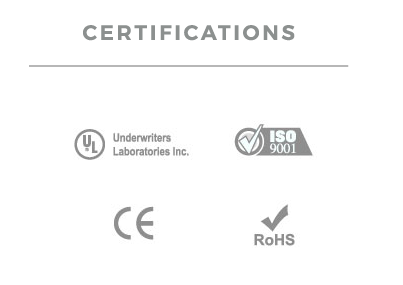 It is also UL recognized, as well as being compliant with both CE and RoHS standards. Quality is guaranteed by the 10 year warranty. Magnelab’s SCT-0750 Series split-core current sensors “sense” AC current up to 200 Amps passing through the center conductor. Split-core transformers are ideal for installation on existing electrical wiring by snapping around the conductor. The SCT series have a self-locking mechanism. Finally, custom outputs and other parameters available at customer request.